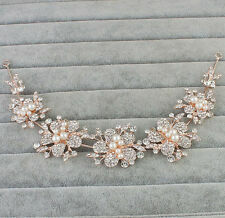 Bridal Headpiece, made with High Quality Diamante, Pearls and Beads. 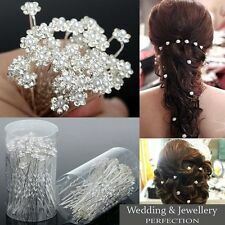 Exquisite Beautiful Bridal Hair Accessories, Crystal Hair Vine Pearls. Color:Rose Gold. Occasion: Wedding, engagements,prom,every occasion you want to be more charming Material: alloy, rhinestone Color: Silver Description: Necklace length: Approx. 23.6 inch / 60 cm Earring pendant length: Approx. 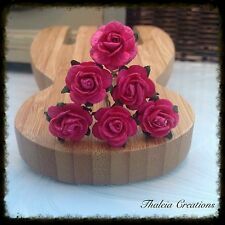 1.5 inch / 3.8cm Earring Style:Clip on Crown Size(L x H): Approx. 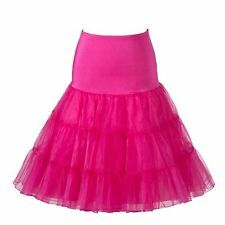 29cm x 5cm / 11.42inch x 1. Ein Leben lang. an deiner Seite Ringschatulle Hochzeit Ringbox Holz. Das Ringkissen ist aus Jute mit Spitze. Die Eheringe können ins Ringkissen gesteckt werden. Neues AngebotBlack Tiara . Black Gem Tiara . Wedding Tiara . Goth Tiara . Black Tiara . Black Gem Tiara . 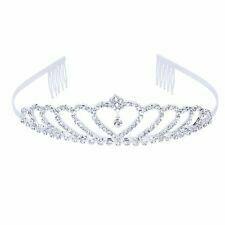 Wedding Tiara . . Goth tiara Condition is New with tags. Black acrylic gems Gold back 7 cms tall look at my others ! 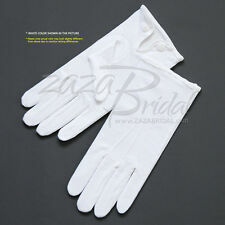 New arriving all the time Dispatched with Royal Mail 2nd Class. Material: Kunstperle, Zirkonia, Kristall. Größe der Haarkamm : ca.17cm x7cm. Zustand: 100% Neu, ungetragen. Farbe: Weiss. NEW! 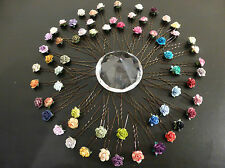 Crystal Flower Bridal Hair Twist Ins Jewelry Prom Set of 17 USA Fast Ship! NEW!! 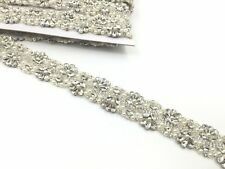 Bridal Princess Crystal Hair Wedding Crown Headband USA FAST ship!! !